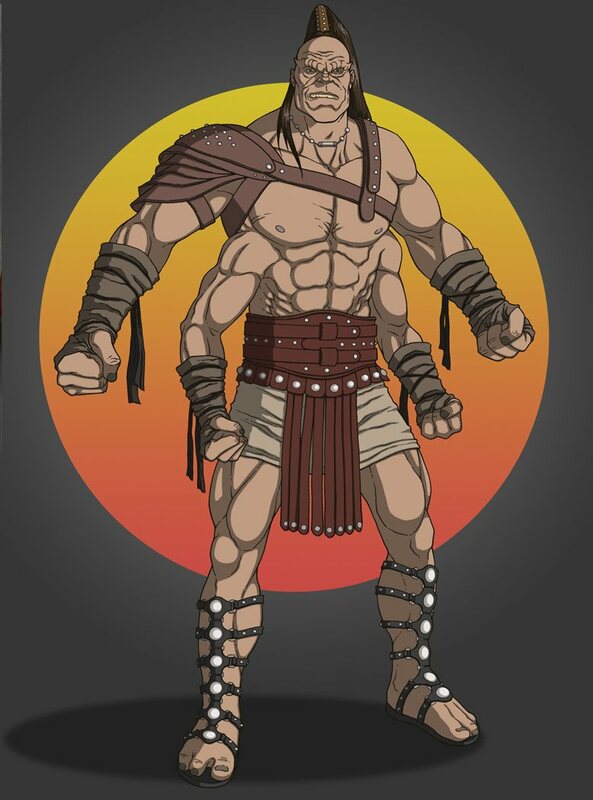 This is my take on Goro. I originally tried to work with the idea that he is described as being half dragon, but after a few sketches I decided to use the face and body style, which I always really liked, that appeared in the 1995 film. I added a few bumps and ridges to his face and made the legs a length that fit his elongated torso a little better. 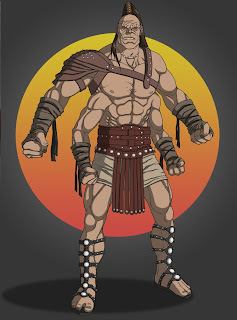 As for costuming, I decided to go with a gladiator look for him. Something about his character and personality made me think that look would work for him. The equipment was inspired by the series "Spartacus" along with other equipment and costuming I found in searches on-line. Nice work on Goro there- good design choices.